There are many questions people ask when shopping online for opal and understandably so considering the uniqueness of this amazing gem. Most questions pertain to what is an opal and how much is an opal worth which could be asked by someone interested in gems, or someone buying a gift for someone who loves opals. Once you learn about these amazing stones - whether a little or alot - the online search to buy the perfect opal or desired opal jewelry raises more questions and this article will hopefully answer some of them. This guide to buying opals is based on experience as both a buyer and seller of opal jewelry and opals. Advice is given with shopping online in mind but can be applied to dealing with a bricks and mortar store. Not long ago, the idea of buying anything online - handing over your money and any personal information - was inconceivable and frightening. Nowadays the increase in online shopping grows dramatically each year as shoppers feel more safe and comfortable. The choices of where to buy have also increased dramatically, especially with opal jewelry. Shopping online gives you fantastic opportunities to buy from around the world, however not holding the item or seeing it in person, is the drawback. Here is some advice on buying opal jewelry or opal which will hopefully help you whether you shop online at this website or another online store. ► What do you look for in an opal?? As you have likely discovered, opals are a unique gemstone in that no two are exactly the same and compared to a gemstone, they have a lot more character. So what is the most important thing to look for? The best opal to buy is 100% natural opal, or solid opal, if you want quality and this is no different than any other gemstone. A reputable seller will have all the relevant information of the stone in the description. Multiple photos and video are essential in order to get a good idea of what the item looks like in person. Knowing as much as you can about opals before buying will also make it somewhat easier to make a choice before purchasing. Opals are all about color, pattern and brightness. You will see many pieces of opal jewelry in the big online stores that sell dull, colorless opals and while the seller may have a good reputation, the quality of the opal is just not there. If you want opal jewelry that keeps it value, and you want to enjoy looking at it, search for something that flashes bright color whether it is green, blue, red or multi colors. You want these colors to be noticed so a good brightness is important - at least a 4 out of 5. The play of color, or the pattern that describes how the colors display themselves, is not always as important however the pattern can make the opal lively, bold or mesmerizing. If you see what look like cracks or chips in the opal, ask the seller. Sometimes what may look like a crack, could be a potch line which is part of the natural formation of the opal. Most times, the piece will just 'talk' to you and you find you must have it. This is the beauty of opals. Each one is unique having its own special characteristics and when you see it in person, you will find it hard not to look at. Note: Quality opal is becoming harder to find due to the number of miners decreasing each year which is caused by the lessening amount of opal being found each year. TIP: Look for solid, natural opal with bright color and one you love to look at it. ► What do you consider when buying opal jewelry? Jewelry is bought for many different reasons such as to celebrate, to gift or to simply wear. What ever the reason, what do you need to consider when buying opal jewelry online? Buying for yourself is the easiest as you know what you like and will wear but make sure all details of the item is stated as well as photos at different angles and a video are provided. As you know the style of jewelry you wear, finding the setting you like may be the most challenging. If the seller does not have the perfect setting, or you want the setting changed slightly, a reputable seller will do what they can to accommodate your wishes or explain why not. If you are buying as a gift for a loved one, this will be the most challenging as you will be worried they may not like it or the size is wrong. If you are buying a ring for a loved one, knowing the ring size is the most important as once the opal is set, there is a risk of damage to the stone if it needs to be removed to re size the opal ring. Choosing an opal pendant or a pair of opal earrings is the safest option as a gift, compared to buying a ring, as you only need to know the gold color they prefer to wear. Keep in mind that pendants or earrings with inlaid opals are similar to inlaid rings, and drastic temperature changes such as from cold to hot, is to be avoided. So consider how the wearer will treat the jewelry when making a choice. In case the receiver of the gift does not like the jewelry, make sure the online store has a return and refund policy and their contact details are easily found. The style of ring setting the opal is set in, is also important to consider. Consider the lifestyle of the recipient - are they active, do they get their hands wet often, do they know how precious opals are? Inlay opal rings are extremely popular and understandably so with the amazing mix of colors and patterns. What is inlaid opal? Inlaid opal is small pieces - sometimes quite thin - that are bonded to the gold or silver and are more prone to damage if the wearer is rough on their hands. We have many customers who have bought these rings and wear them every day with no damage. There are a few customers who are quite rough with their hands and have their opal rings repaired every year or so. In saying that, rings that are inlaid are easily repaired compared to replacing a single stone ring. Inlaid opal pendants or earrings wear well as they are worn differently to rings. If you are looking to buy an opal engagement ring, the information above applies however, as opal engagement rings are generally worn every day, and often a fair amount of money is being spent, there are other things to consider. The style of ring setting, the thickness of the opal and the way the opal is set, must all be considered for long term wear. You may have seen vintage opal rings for sale online which proves opal rings can be worn for a very long time with the right care. Any gemstone can be damaged in a ring and opals are no exception however they are not as durable and as a comparison, opals have a similar Mohs hardness rating to Tanzanite. Inlay opal rings can be an affordable alternative as an engagement ring but it is important to know how to care for opal rings before deciding if this style will be suitable. Inlay opal jewelry have an added component to secure the opal to the metal and frequently getting them wet is to be avoided. An opal ring with the opal sitting high is also likely to get damaged if you are rough on your hands. A low set opal ring, ideally with accent stones such as diamonds or colored gemstones, is a good choice for an engagement ring. Bezel setting the opal with a good thickness of gold is another option for an engagement ring. Whatever the style you are looking for, ask the seller their advice and recommendations. They should respond honestly and be open to work with you to create the perfect opal engagement ring you dream of. TIP: Consider the style, the use of the jewelry and the lifestyle of the wearer. ► How do you choose a seller when buying opal jewelry or opals? Buying opal for the first time or buying from a seller for the first time would make even the most avid online shopper nervous. Putting your trust in someone you don't know and can't meet in person, is bound to give you reasons for hesitation. On top of that, there are alot of online stores selling opal so how do you choose a seller? 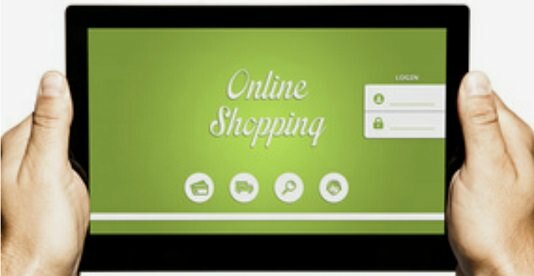 Your choice may be made easy by a recommendation but if you found a store in your online search, there are some things to consider before purchasing. Is the website secure with https in the url? Is it easy to navigate and have a professional look about it? Are there no distractions such as advertisements from unrelated businesses? Is the seller providing plenty of information of the products? Are the return policy, testimonials and their contact information easily found? Any concern or question you have, do they reply quickly and in a friendly manner after contacting them. A good online seller will reply within 24 hours and a seller with fantastic customer service will reply within hours sometimes minutes. Note: You may receive a reply to your inquiry but it is possible it does not reach your inbox so check your spam or junk folder. TIP: Look for an open, honest, knowledgeable and professional seller. ► How do you know the company you are buying from is the real deal? It is relatively easy for anyone to launch a website with lots of photos and information to sell products, so how do you know you are dealing with a reputable seller? Look at the information provided on the website - Is it informative? Does it make sense? Are the contact details or legal aspects easily found and provided? Asking questions and reading testimonials will also give you an idea of quality and service. Check if they have social media pages like Pinterest or Facebook. You will soon discover what is an automated company/website or the real deal. TIP: If in any doubt, ask questions. ► Where should I buy opal? from a website or an online auction site? With the number of online stores and auction sites to choose from, which option is best? You must feel comfortable and safe wherever you buy but these things are worth considering. Website owners want buyers to shop with them directly as there are no restrictions with dealing with customers. Dealing direct with a website gives you freedom to communicate by email, phone or live chat. It also increases the chance of a receiving a discount if an offer is made which is unlikely on an auction site due to the large fees charged for every sale. Most payment gateways cover both the buyer and seller in the event of a dispute, including PayPal. Most online auctions sites do not cover you but pass the issue on to PayPal or relevant payment provider and this can take alot more time to sort out than dealing direct. A reputable website gives you lots more information and also allows you to see all their products without being distracted by products of inferior quality or paid advertisements. Wherever you shop online, keep in mind the advice on this page and you will have the knowledge and confidence to make your purchase. TIP: Buy direct from a website. This guide does not cover in depth every question but hopefully it has helped you in some way. If you have any comments, suggestions or further questions, don't hesitate to get in touch. Have a safe and enjoyable shopping experience!